I was sitting at the computer writing this column when the pungent smell of wood smoke filled the room. It took me a minute to realize that the house was on fire and about 5 minutes more to locate the source of the flames. My husband, Gordon, attacked the boiler room with a fire extinguisher while I called 911. In another few minutes, the house was swarming with our tiny town’s volunteer firefighters dousing the flames. We were filled with gratitude for their skill and courage, and for the evident grace that we were at home when the fire started, which saved the day. To avoid being overwhelmed by tension, which I could feel building up in both my muscles and my mind, I turned to some immediate stress first aid—a glass of wine with friends who’d come to help. 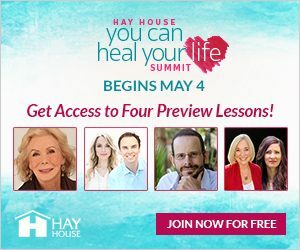 But later that evening and over the next few days, I relied on several quick fixes for daily hassles that are based on the solid science of the mind-body connection. These temporary measures don’t replace making needed changes in your life, such as having a solid nutrition and exercise program or taking an overdue vacation, but they do come in handy in a pinch. The number one thing most people around the world do when they’re stressed-out is listen to music, reports a poll by Roper Starch Worldwide. And with good reason. Right now, I’m listening to a Mozart piano sonata, a strategy that research suggests may not only increase my spatial reasoning—a form of intelligence crucial to problem solving—but may also reduce my stress. Raymond Bahr, MD, a cardiologist at St. Agnes HealthCare in Baltimore, found that for his cardiac patients, listening to classical music for 30 minutes produced calming effects equivalent to a 10-mg dose of Valium. Breathing is the ultimate portable stress buster—if you do it right. When I realized that the house was on fire, I started to breathe erratically, holding my breath and making up for the resulting oxygen deprivation by taking quick, shallow gasps of air. Research demonstrates that heart rate increases with shallow breathing, creating feelings of anxiety—something you don’t need more of when you’re superstressed. Fortunately, all it takes to lower your heart rate and calm you down is slow, rhythmic belly breathing. To shift from anxiety breathing to relaxation breathing, blow out all the breath in your lungs (like a big sigh). Then focus on a point about 2 inches below your navel, in the center of your body. Inhale, imagining taking air all the way to that center and feeling your entire belly expand. Then breathe out slowly from that same place. You’ll feel your belly flatten. Do 10 of these breaths and let each exhalation relax your body a little more. Whenever I’m stressed-out, I hunch my shoulders and start to frown. I look like Quasimodo in drag and could easily frighten babies. Worse still, the physical sensation of tensed muscles ramps up our anxiety and negative thinking, feeding a vicious cycle of escalating stress. We can stop that cycle with a few muscle-releasing stretches. Start with three to five shoulder shrugs: Inhale while you tense your shoulders and lift them toward your ears; then exhale as you drop them and let yourself relax. To release tight neck muscles: Lower your chin slowly to your chest for five breaths, letting your head relax and droop a little bit more with each exhalation. If you’re laughing, it’s hard to hold on to stress. Your facial muscles get a natural workout that relaxes them. A Loma Linda University study showed that even the anticipation of laughing at a funny video significantly decreased men’s stress. Other studies found that laughter can boost immunity, reduce pain and stress, and even lower the incidence of repeat heart attacks in patients who watch 30 minutes of funny videos daily. Research by retired psychologist Paul Ekman, PhD, at the University of California, San Francisco, has given new life to the old question, “If you’re so happy, why don’t you tell your face?” He learned that 40 percent of people have “smile muscles,” and the act of smiling sends a message to your brain that you are happy. If you’re one of the lucky 40 percent, an upward tug of those facial muscles changes your mood. This last quick-fix tool is more likely to appeal to women. Men call it complaining, but I call it debriefing and letting go. My friend and colleague, humorist Loretta LaRoche, calls it Power Whining. To practice it, call a friend and tell her that you’re stressed and just need 2 minutes or so to unload. Her job is just to listen without interrupting. When you’re done, reciprocate. When both of you are finished, wrap up with a 1-minute monologue each, describing the things for which you’re most grateful. It’s this last bit that helps put everything into perspective by reminding you to be grateful for all the many things that aren’t stressing you out. Like, perhaps, the fact that your house didn’t really burn down and that you have someone you love who loves you, good friends, and another day of life to appreciate all the beauty around you. Works for me. Go to Loretta Laroche & Company and browse the selection of hilarious audiotapes and videos. Keep a bottle of a pleasing aromatherapy scent handy. I like peppermint spray for freshness and clarity and lavender for relaxation. When you’re stressed-out, spritz yourself. The olfactory structures of the brain that process smell are wired into emotional centers. Check out the relaxing flute and harp music—with the sounds of nature—of Dean and Dudley Evenson at Soundings of the Planet. Musician Don Campbell, author of The Mozart Effect, and I compiled a CD of our favorite stress-busting classical music. It’s called Inner Peace for Busy People, and you can look at the selections on Joan Borysenko’s Practical Path to Wholeness.